We regret to announce that Sunset Speedway has made the decision to cancel tomorrow&apos;s race due to pending weather. The track will be open for single car practice today (Friday), gates open at 2, practice from 3-7, $10 per person. 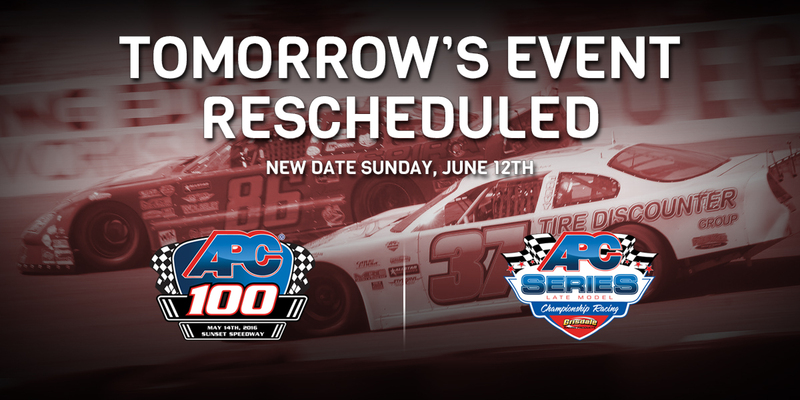 No APC Series tech or scoring will be on site. New date has been scheduled for Sunday, June 12.